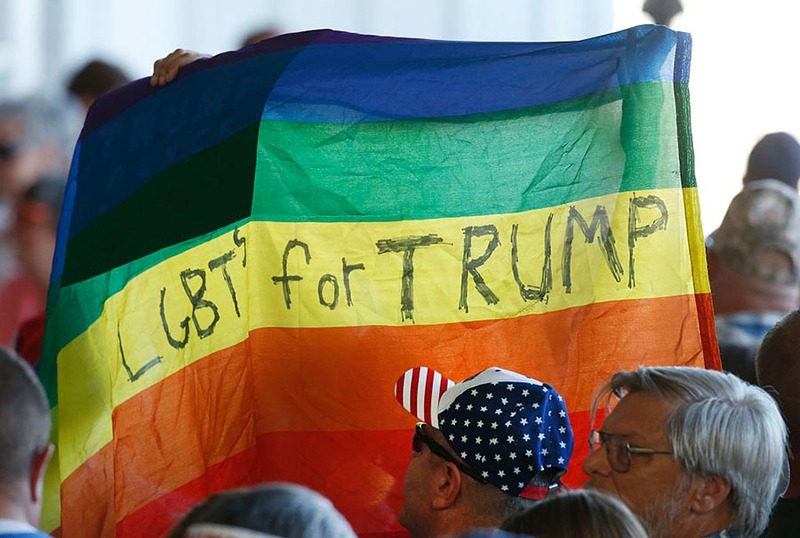 In this Oct. 18, 2016 file photo, supporters hold up a gay pride flag for then-Republican presidential candidate Donald Trump in Grand Junction, Colo. I write this letter as a supporter and advocate, not a critic or adversary. As someone who voted for you and who regularly calls on millions of Americans to pray for you. I also write this with the understanding that you have been elected to serve the American people as a whole and not just one particular faction of Americans. The great challenge, however, is one that you must deal with on a daily basis: When you stand up for what you believe is right — be it securing our borders or nominating a solid pro-life justice to the Supreme Court — you will alienate a certain number of Americans who oppose your policies and choices. That is inevitable, although regrettable, but if there is any political leader on the planet who is more concerned with acting on convictions than with pleasing people, it is you. And this brings me to the heart of this appeal. While you have consistently positioned yourself as a friend of the LGBT community during your campaigning, having Peter Thiel speak at the Republican National Convention and holding up a “LGBT’s for Trump” flag at one of your rallies, you have never positioned yourself as a champion of the gay and transgender agenda. Conversely, you have most certainly positioned yourself as a champion of religious freedom, and you know that without the vote of conservative Christians (with whom I identify), you could not have gained the presidency. In that respect, we are a unique and important part of your constituency and some of your strongest supporters. I believe you will soon learn that there is no appeasing LGBT activists. In your first weeks in office, we have been tremendously heartened by some key choices you have made, and we were encouraged by the forcefulness of your speech at the National Prayer Breakfast. It is clear that our religious liberties are very important to you, and they should be, since they are at the very foundation of our nation. We were also encouraged to hear that you were considering legislation that would have protected religious groups from the negative effects of one of President Obama’s executive orders, namely, the order that put sexual orientation and gender identity on a par with skin color and ethnicity, as if gay was the new black or as if a man identifying as a woman was the same as him being Asian or Hispanic. As it turns out, you decided to uphold Mr. Obama’s pro-LGBT activism, meaning, that while standing strongly for religious liberty you are unintentionally undercutting that very same liberty. Mr. President, I truly believe that you desire to stand with LGBT Americans and you do not want to see them hurt or attacked by others, and I second your sentiments wholeheartedly. At the same time, your actions will potentially punish conservative Christians and others for simply living out their faith. Not only so, but I believe you will soon learn that there is no appeasing LGBT activists and that as long as you demonstrate loyalty to your conservative Christian base, you will be considered their enemy. Mr. Vice President, I know you are a committed Christian yourself, but may I ask if you are saying that it is prejudiced and discriminatory for someone to believe that it’s best for a child to have a mother and father (rather than two fathers or two mothers)? That it is prejudiced and discriminatory to believe that marriage is the union of a man and a woman (and therefore not the union of two men or two women)? That it is prejudiced and discriminatory to believe that a 15-year-old boy who believes he is a girl should not be allowed to play on the girls’ sports teams or share their locker rooms and shower stalls? Last year in England, a 42-year-old Christian evangelist was handing out gospel pamphlets on the street when a 19-year-old gay teen asked him what his God said about homosexuality. The preacher quoted Genesis to him, explaining that God made Adam and Eve to reproduce and have children. May I ask you to give these matters your prayerful consideration, inviting some of your most trusted spiritual advisors for input as well? Vice President Pence, with all due honor, I ask you: Do you see how your choice of words reinforces the same mentality that led to the arrest of this Christian evangelist, specifically, that his actions were allegedly “aggravated by prejudice relating to sexual orientation”? And President Trump, with the utmost respect, I ask you: Do you see how the executive order you upheld is a step in the wrong direction, a direction that ultimately leads to discrimination against Christians? I’m quite aware, Mr. President, that the case in England is different than the federal legislation that you signed, but having monitored the trajectory of LGBT activism for more than a decade, I can assure you that you will not win the widespread support of the LGBT community until you distance yourself from the evangelical Christians who helped elect you and who gave you wise counsel throughout your campaign. In other words, you will not be viewed as a real friend of the LGBT community until you side with gay activism at the cost of Christian liberties. May I ask you to give these matters your prayerful consideration, inviting some of your most trusted spiritual advisors for input as well? And may I ask you, at the least, to go ahead and write the executive order we were expecting, namely the one enshrining our religious liberties? If you put religious liberties first, it will be for the good of the nation as a whole. If you side against these precious liberties, it will hurt the nation as a whole. May God Himself give you wisdom. You have my prayerful support. Radicals by any initials or combination thereof would have the world believe that unless they have special treatment the evil not-like-them’s will reign terror on their lives. They have no facts to support their whining, they just expect you to trust their bias as to your bias for not agreeing with them. Guilt works. If it didn’t, petty whiners, children and political terrorists would quit using it. I’ve prayed for several years, and before I remembered to pray I wished and screamed at the news reporting, that our countries elected would defend the constitution and tell k street, atheists, union thugs and activist judges where to get off and where to get off would be off everyday American’s backs. If any of you folks have actually been criminally assaulted, take your complaint to the police and stay out of my freedom of choice and I will stay out of your freedom of choice even if I think your choice is wrong in the eyes of God. I and every American (even you non-smoking,vegan, lgbtxyz, pro-choice, etc., ad infinitums) should have the right to refuse to personally perform services that imply endorsement of what the person selling considers abominable. Are there no lgbtxyz non-smoking vegan wedding cake bakers and flower arrangers out there who would adore to take your money? Are there no new-age all-inclusive non-biblical ministers to preside over your ceremonies? I have nothing against sinners; I’ve been one myself and I know I will be one in the future, but if I expect someone to say that’s the best of me or even a good part, I would know it was the devil giving his approval. The question none of the troublemakers will answer is why they want someone who disagrees with providing say a minister, a wedding cake or something akin to services endorsing their made-up definition of marriage. It makes me wonder if they think everyone should embrace murderers choice to be murderers because that’s how they identify. Maybe we should just say kill-me when someone pulls a gun on us in a dark alley so we don’t offend their identity. It’s stuff and nonsense, but it’s dangerous stuff and I do like our new Executive branch but I wonder if they are too busy to really see this forest for the special-interest guilt trees…It would be really tough and extraordinarily unpopular among the squeaky wheels. God be with our leaders. You can be for religious freedom, or for lgbtq “rights”, but you cannot do both at the same time. It seems that most people have bought into the idea that “discrimination” is always wrong, un-American, and should be illegal. But not discriminating is impossible. Everyone discriminates every day. They may not admit it. They may not even be aware of it, but they do it. When a man chooses to marry a wife, he discriminates against every other woman who might have been his wife. When you favor your children over other children, you are discriminating. When you shop at a particular store, you are discriminating against the other stores you could have shopped at. There are many ways in which we all discriminate. Should all that discrimination be illegal? Trump and Pence,. and everyone else has to decide if they are going to be on the side of the lgbtq, or if they are going to be on the side of God, Christians, and others who don’t want to associate with lgbtq. I must disagree with part of what you said. When the government makes it illegal to choose who you associate with, either in business, or socially, they violate freedom of religion and freedom of association. They violate the first Amendment. When they force people into business transactions against their will, they also violate the 13th Amendment provision against involuntary servitude. Everyone should be completely free to choose who they do business with, and who they associate with. If I want to buy your product or service, but you don’t want to sell to me, for any reason, you should be allowed to decline my business. And it should work the other way too. If I don’t want to buy what you have for sale, the government should not force me to. God does not require anyone to associate with lgbtq, or do business with them. The US Constitution prohibits the government from requiring those associations. Oh, and did you WATCH the National Geographic show on gender or did you just read about previews and then write about it? Why do you want to force people to associate with those they don’t want to associate with? So white people who don’t want to associate with black people should be able to refuse them service? what does being black and being a sinful pervert have to do with each other? Such a loving Christian you are! You make Jesus proud! Lols. But to answer your question, go back to the original question “Why do you want to force people to associate with those they don’t want to associate with?” PEOPLE being the operative word here, why stop at LGBTs? Shouldn’t people who don’t want to associate with other people not be “forced” to associate with them? Whites and black? Gay and religious? Left handed and right handed? What exactly is unChristian about my comment? homosexuality is a perversion and anyone who engages in homosexuality is a pervert. being black is not a sin, being homosexual is. again, what do the two have to do with each other? why do you compare them? Absolutely nothing. For those that mistakenly mock Christians as not loving when they call a sin a sin, they mock Jesus Christ as well. Ever notice how Jesus said go forth and sin no more? Also, how loving would it be to let someone just waltz right into an eternal fire without giving some sort of warning? No, to remain silent would be the unloving thing. I thought that Christians considered Blacks to be perverts. You know, because Ham diddled Noah when Noah was passed out drunk. you might want to read Leviticus 18:8 it is better to keep your mouth shut if you are ignorant on a subject. So Ham diddled his mother? That’s even more perverted. Mr. M, The government has no authority to force anyone to do business with anyone else. Forcing people to do business against their will is essentially what slavery is. It violates the 13th Amendment to the Constitution. I see valid, cogent points are getting deleted yet again. If you can’t defend your argument, delete the opposition. Nice. Kathy Verbiest Baldock, what exactly are they taking out of context? Best to just ignore her, she is absolutely clueless to the gospel of Christ, which is stated rather plainly as being the power of God unto salvation to all that believe. “Salvation from what?” Kathy Verbiest Baldock says, “Grace means all is good in my eyes.” As she struts around aiming to please others more than God. She is the type who will allow the great deception to occur. Behold! Your savior comes, and riding on an orange horse! Bow down to your king! Oh you think you’ve seen protests now, just wait and see if you start rolling back LGBT stuff. THEN you’ll see people in the streets. I’ve got tons of millennial friends of mine that voted for Trump that would be in the streets. I deleted my own comment. And question in reply is, why do you want this place to be a mutual masturbation party? Why be afraid to engage in discourse on a subject? Why would i want to do that? I voted for Reagan twice; Huffpo doesn’t interest me. FYI, an experiment was conducted when Christians go to a gay bakery and ask to bake a cake with a message that offended them and they refused to bake it. Can the Christians sue this bakery ? My comments keep getting removed by Michael Brown so i wont respond any further. You should have responded to me instead of writing nothing. Do share your comments. I’ll try, hopefully you can read it before it’s removed. “Christians go to a gay bakery and ask to bake a cake with a message that offended them and they refused to bake it. Can the Christians sue this bakery?” – yes. If they are discriminating against people based on their religion, they not only can sue, in my opinion, they SHOULD sue. “Muslim Butcher insisting on buying pork” – why would a butcher not have pork? Categorize yourself as a “Muslim bakery” then, or a “Christian florist”. In terms of running your business when you’re working behind the counter, you should be a butcher first and a Muslim second. Off the clock, that’s your business. Instead of trying to force people to do what you want, why can’t you just allow people to do business with who they want and decline business they don’t want? When you try to force people together who don’t want to be together, the only thing you accomplish is you create resentment and opposition. You also trample their rights. “Why can’t you just allow people to do business with who they want and decline business they don’t want?” – because the slope is slippery. Soon, whites will stop serving blacks, vice versa, it’s not America, or at least not what I thought was America. Its none of your business. You associate with who you want and let others do the same. If you try to force me to associate with someone against my will you will find me very uncooperative. And maybe dangerous. “Its none of your business. You associate with who you want and let others do the same. ” – Okay, let’s try that. We’ll see where society leads. I will admit if I’m wrong. There are Muslim Butchers that only sell Lamb, Beef, Chicken. I doubt you have them in your town. As for your analogy, you should be a baker or florist first. You can decline business if you know those customers have an agenda to pick on Christian bakeries. All these horror stories of Gays suing Christian shops are caused by Obama opening the Pandora’s box. The human civilization need OB markers meant for our own good. Break that Moral barrier, you will release the Immoral values and as we see now, all hell breaks loose. You’d rather trust and subscribe to what you see in a program from NG than to trust the Bible. Why is there no article on CBN news and other Christian news about Trump upholding President Obamas transgender bathroom mandate in Public Schools? As Christians we should oppose that. 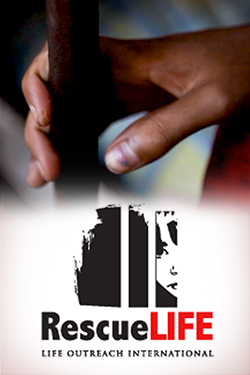 We are far from revival if Christians are turning a blind eye to this mandate. I respect Trump and Pence, but disagree with them upholding this executive order. Great words of wisdom! I hope the president and vice-president read this open letter from Michael Brown, for they are words of truth and common sense. They express what so many of those who voted for Trump believe about the way to protect religious liberty. Let us hope that, if the president and vice-president actually read this open letter, a word to the wise will be sufficient, and they will immediately alter their whole approach to the issue of religious liberty for Christians ustead if playing right into the hands of the LGBT community by adopting their language. In my opinion Christians should stop playing the libs game by referring queers with ltbgxyz or whatever. It legitimizes them. Call them queers. I do not mean this in a hateful way, just using the true meaning. Abnormal, odd, strange. It is not being unkind, just factual. They are in fact “abnormal”. I actually prefer another term which begins with F and ends with T, with a couple of Gs in the middle. I don’t use it much on the internet because it will often be deleted by someone. I prefer to call them what they’re called in the Bible: Sodomites. “Homosexuals” works, too. They are not “gay”. Not in any sense of the original word. Gay means to be happy. These people are not. If they were, they wouldn’t keep pushing their agenda. I am posting from England. Over here we have civil and criminal laws regarding discrimination against homosexuals and also against Christians. What the case law shows is that when homosexual rights collide with Christian rights, the former trump the latter.